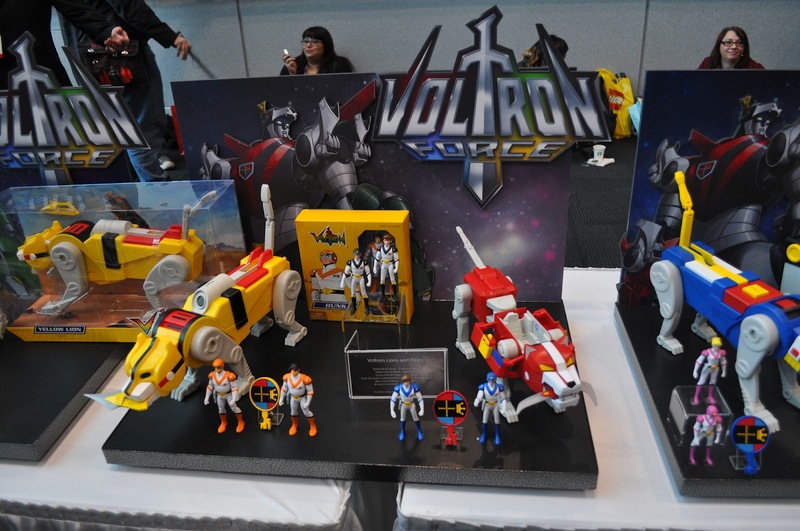 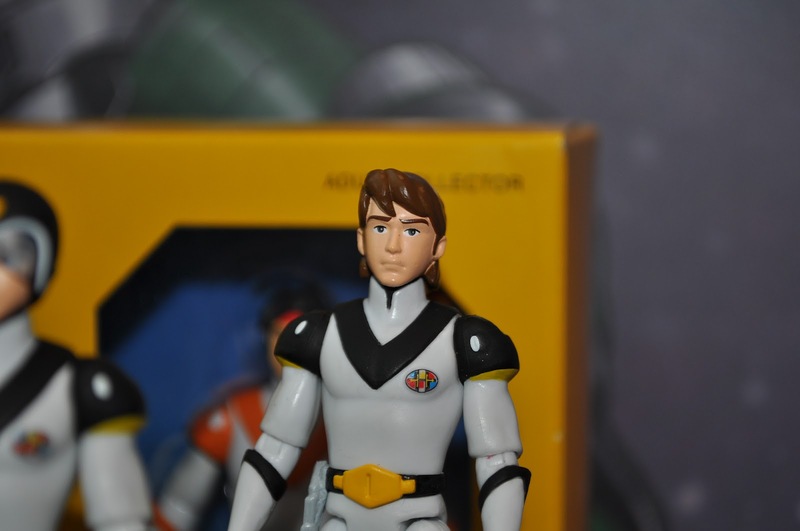 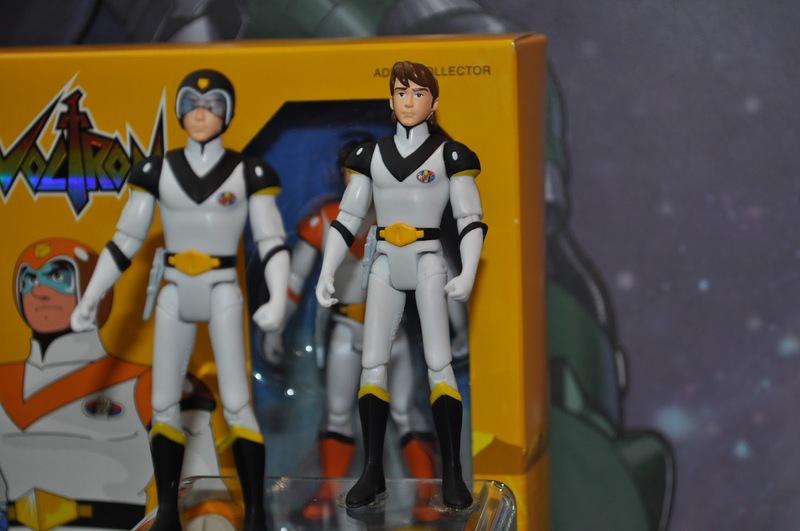 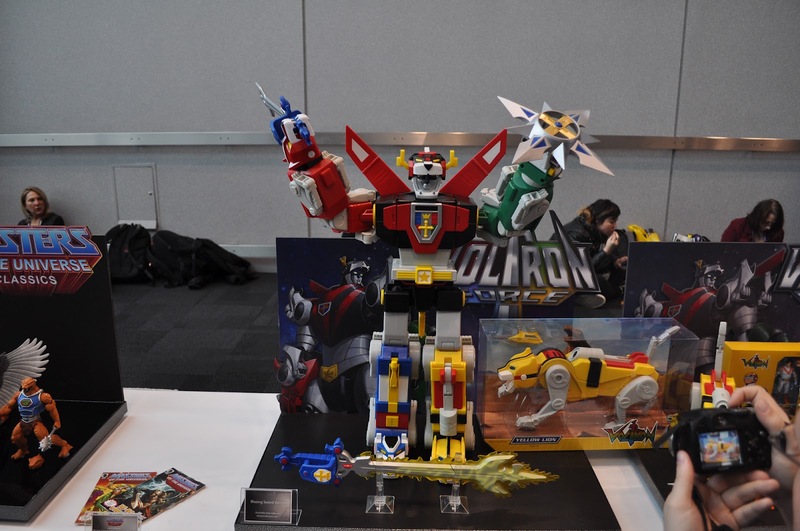 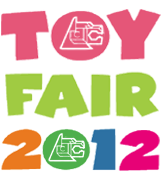 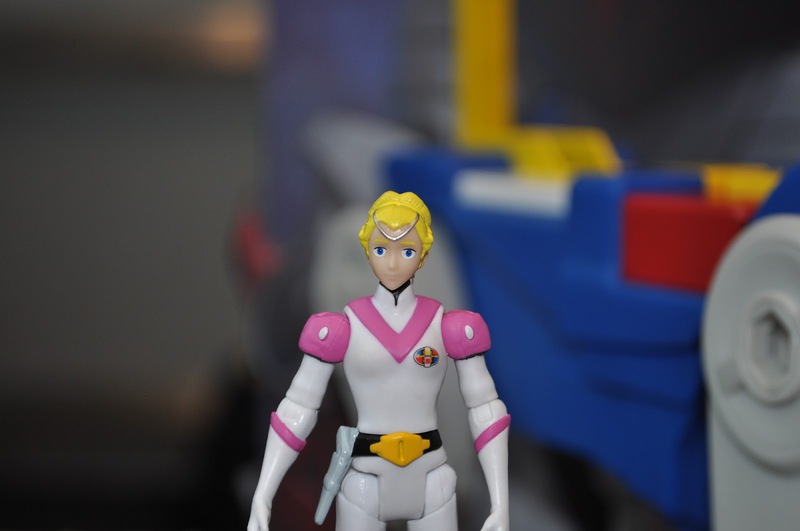 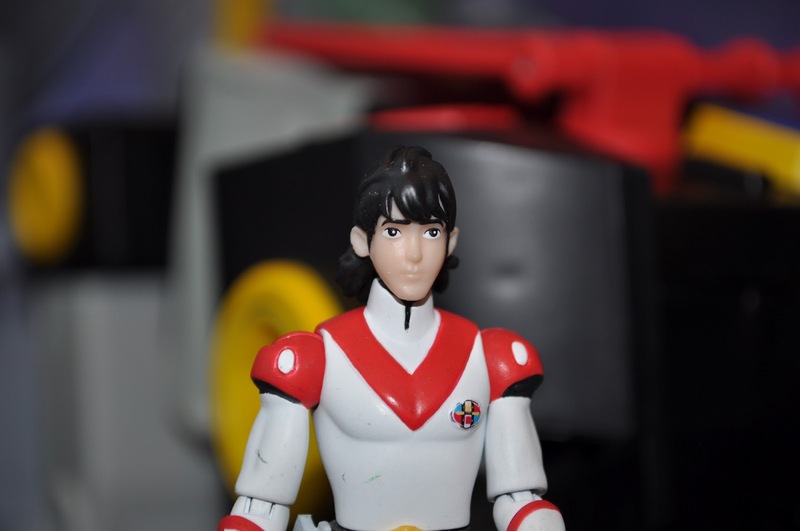 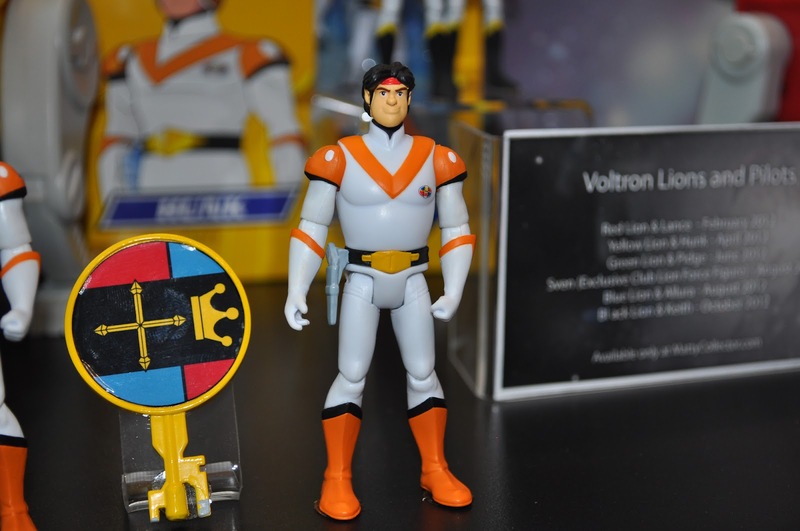 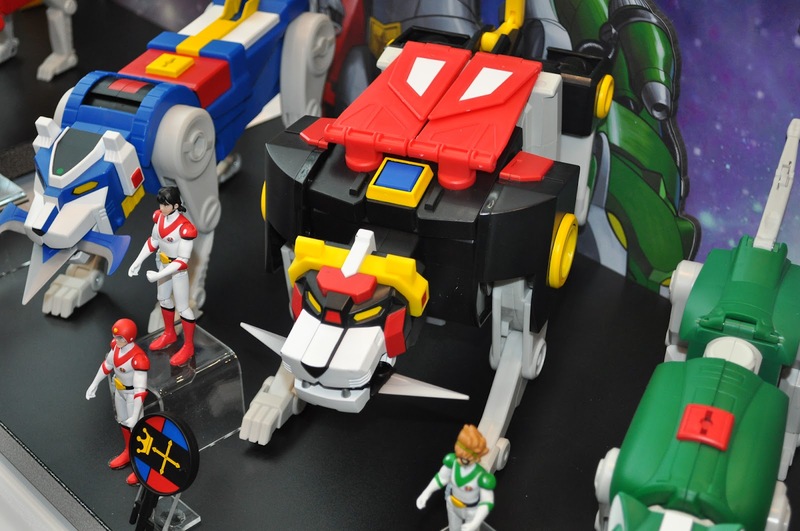 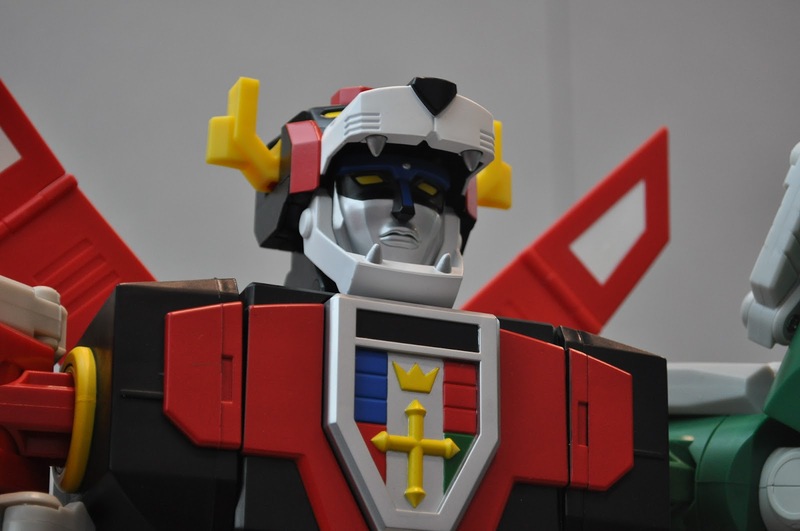 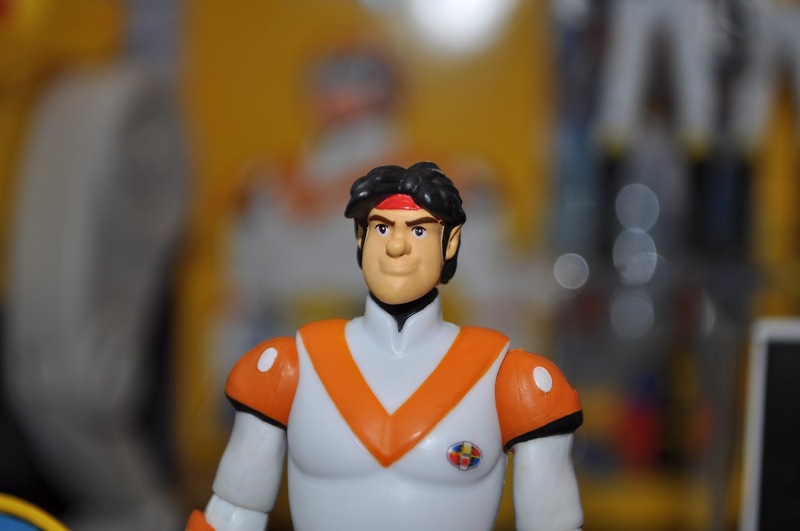 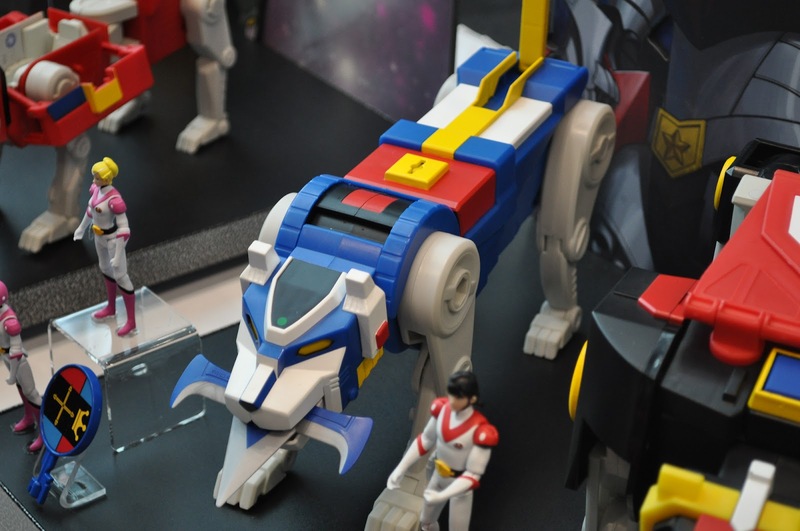 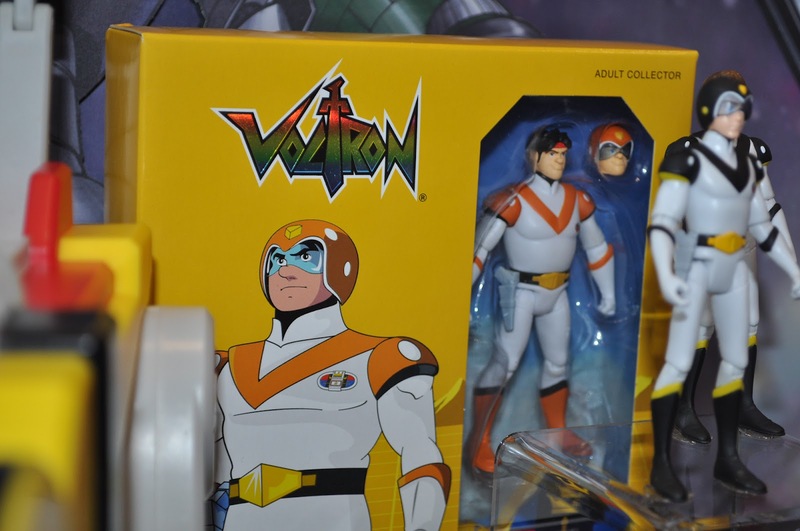 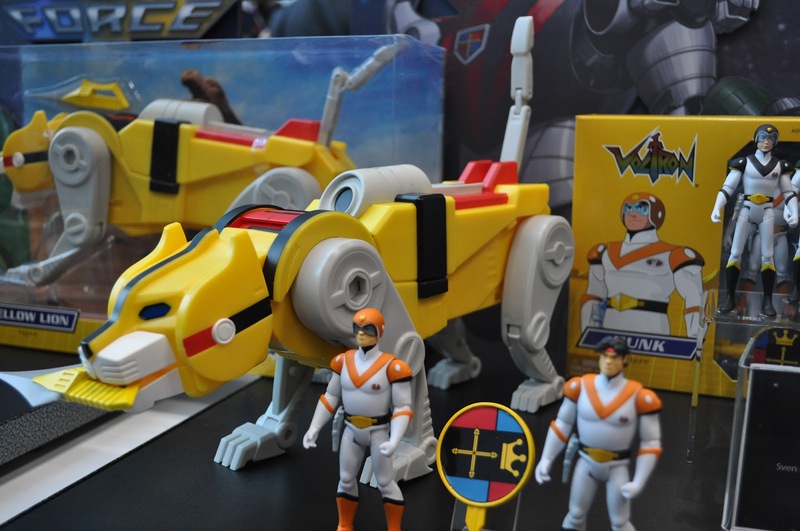 On Sunday, Mattel opened it galleria at Toy Fair 2012 to the collecting community and keynote speaker and toy guru Scott Neitlich got things started with Voltron! 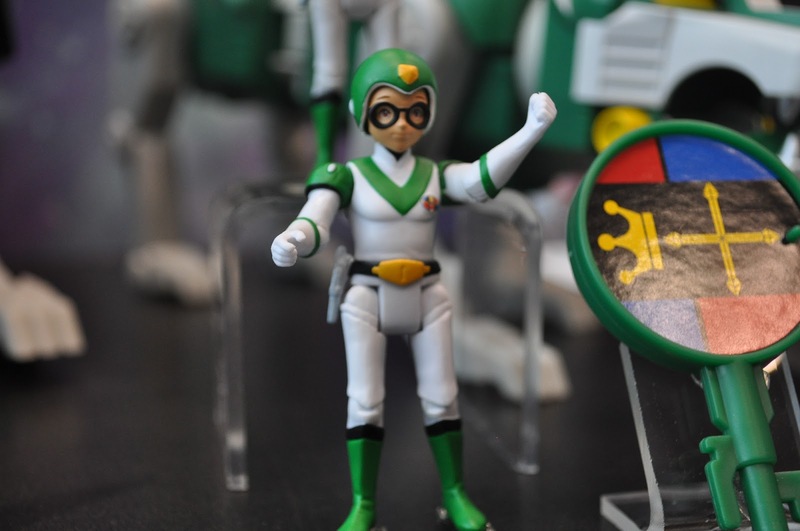 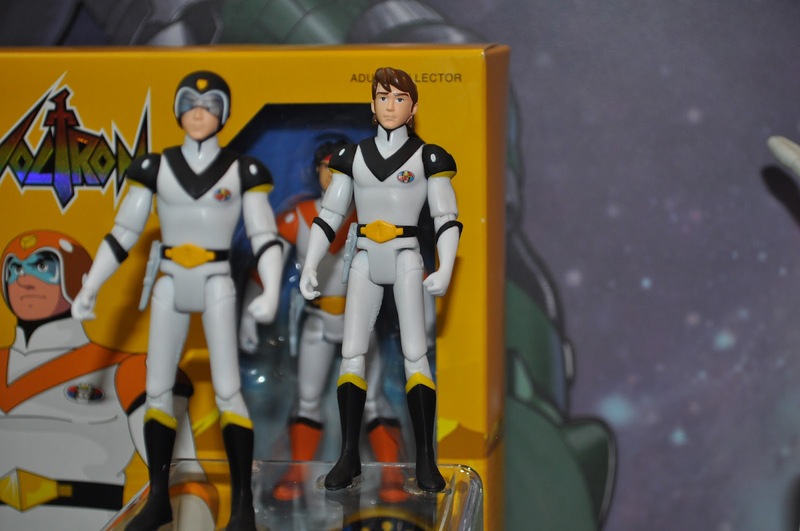 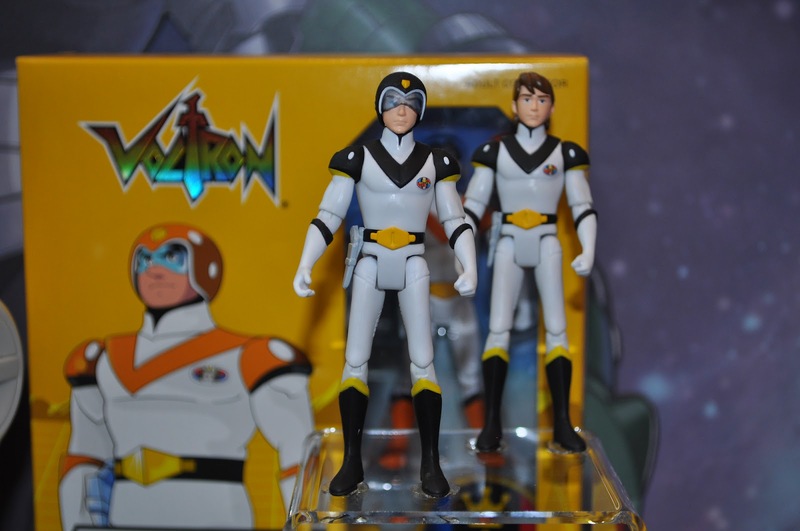 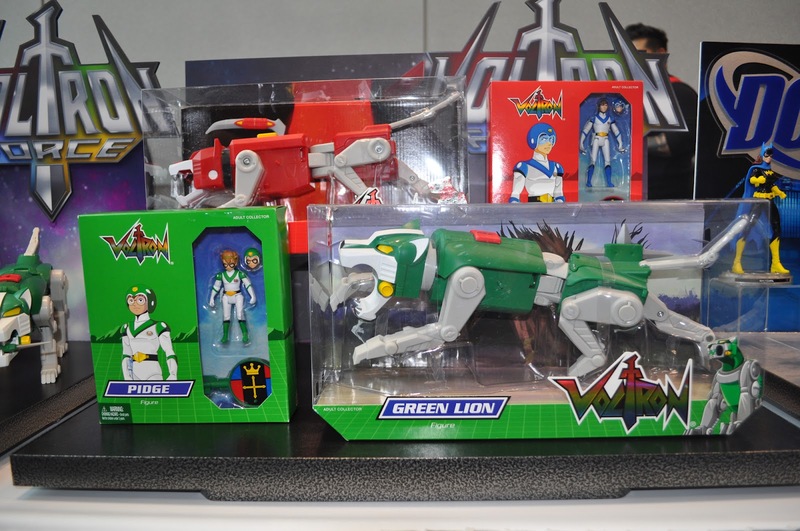 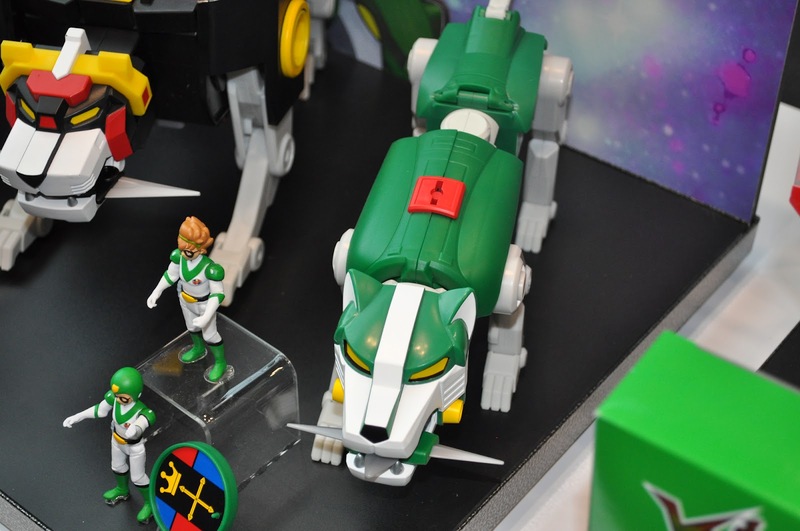 The release schedule for Mattel's Voltron Classics line is now finalized and packaged samples for the Yellow Lion and Hunk, and the Green Lion and Pidge--the next two pairs to ship in the line--were on display. 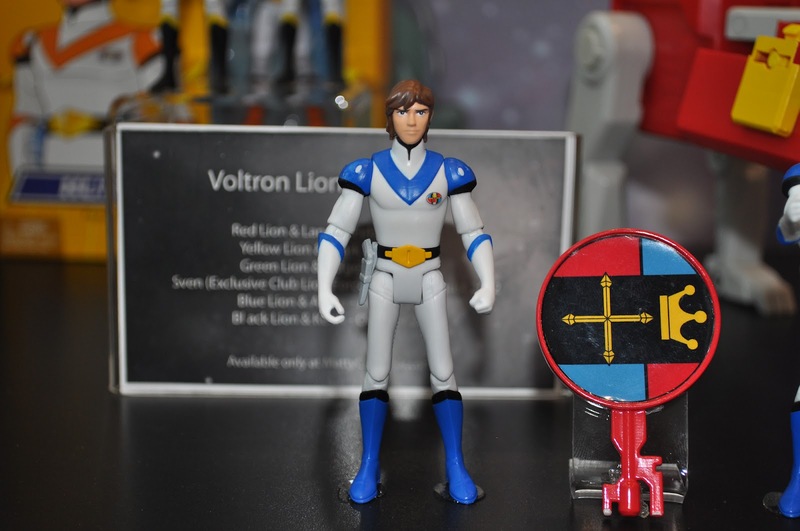 The decision on whether or not to continue the Voltron Classics line will be made based on the "day of" sales of the first two Lion/pilot sets. 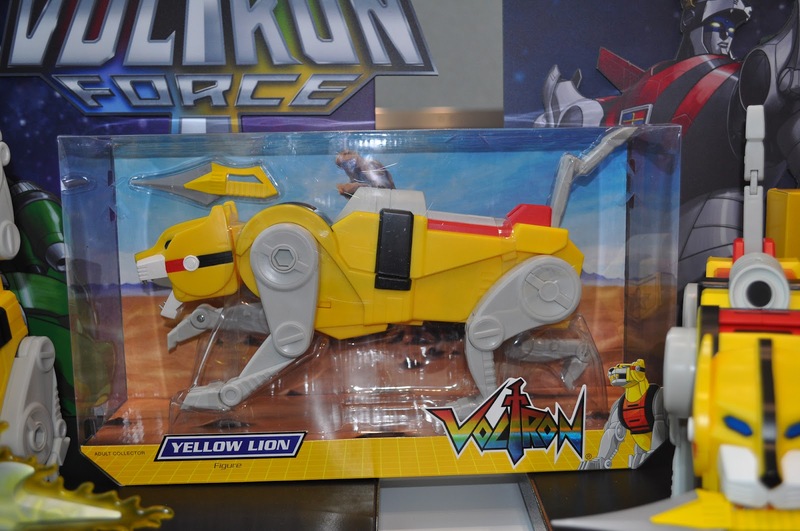 If you want to see characters like Zarkon, Lotor, Haggar the Witch and the Ultra Droids made and didn't buy a subscription, it's imperative that you order the Red Lion and Lance tomorrow (February 15) and the Yellow Lion and Hunk in April! 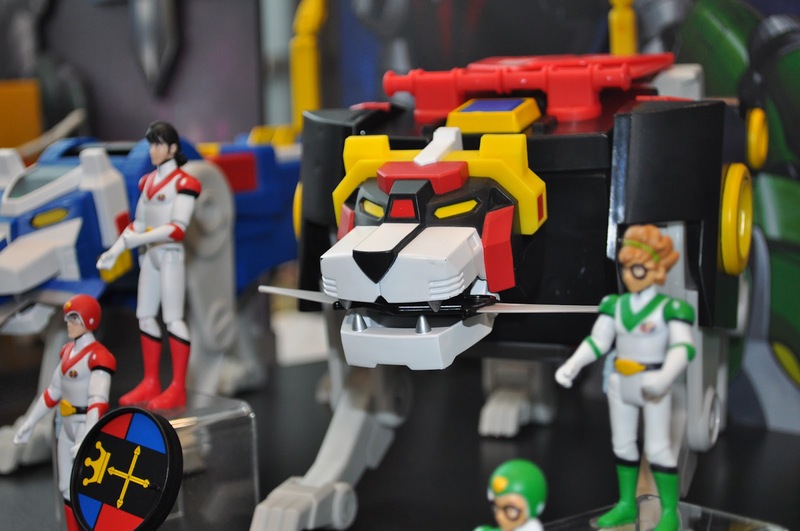 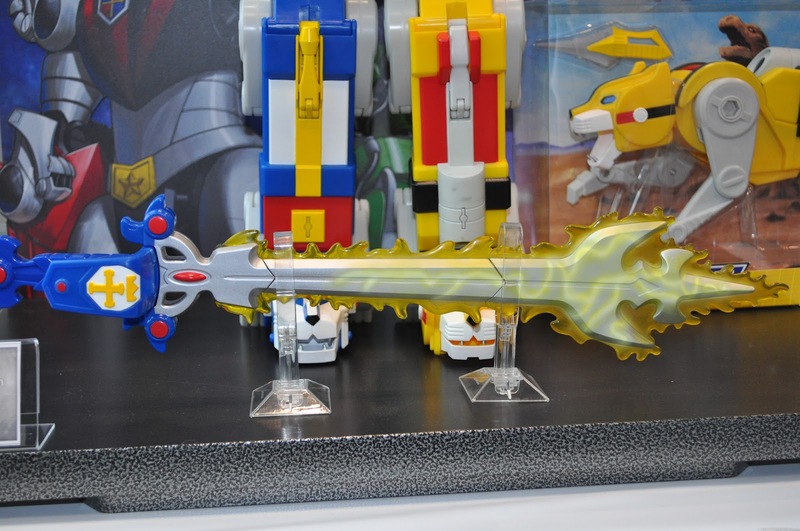 My question will the other power sword and shield come with the black lion? 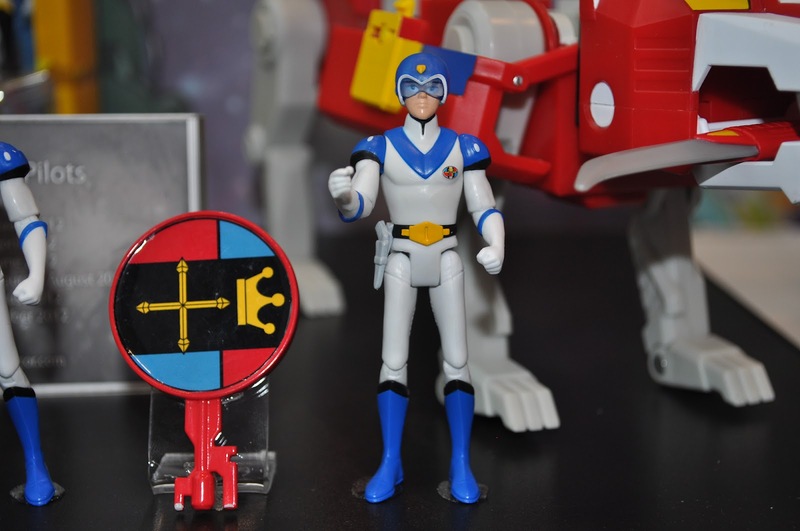 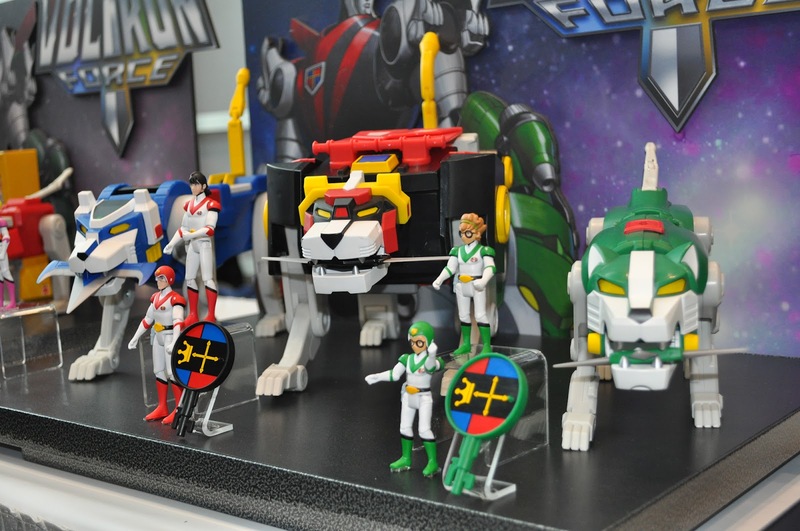 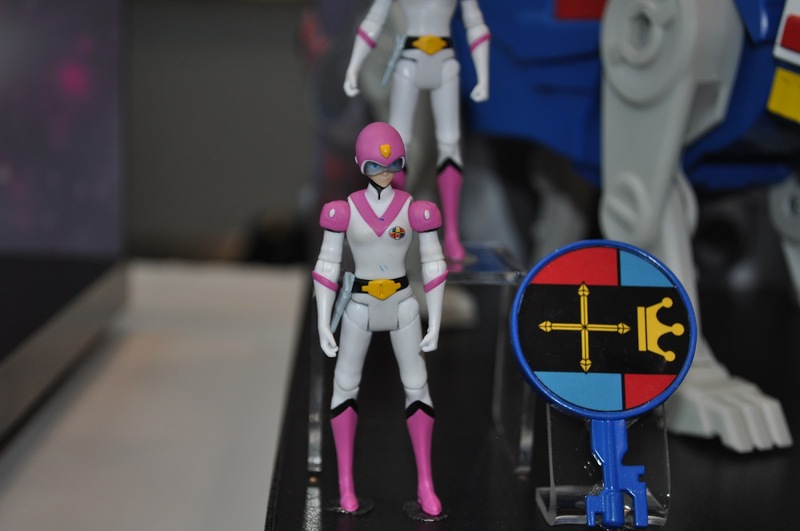 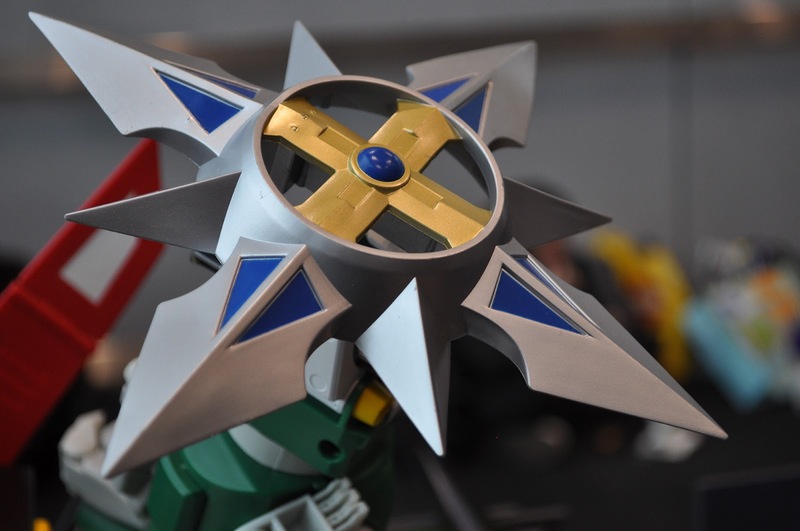 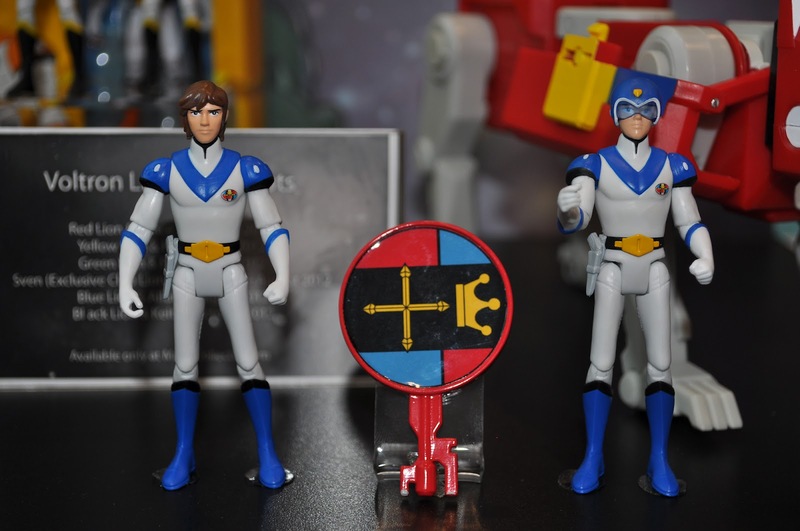 The regular sword and shield will be included with the Black Lion (Black $50, Red and Green $35, Yellow and Blue $40), while the blazing sword is split in five pieces that are divided among and included with the five pilots. 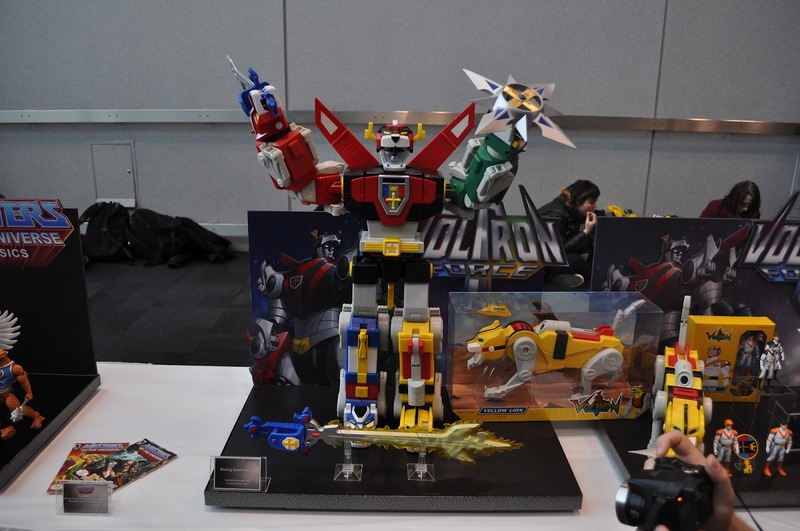 Awesome news I thought they were gonna charge extra for the other two parts. 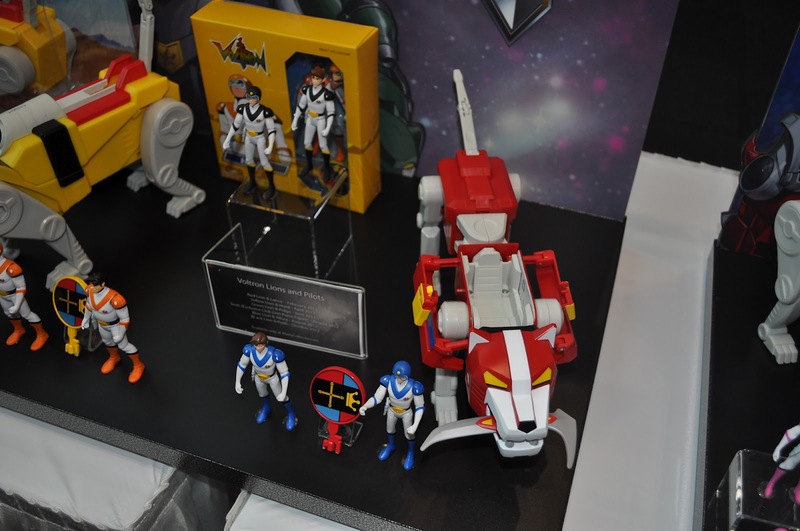 I can't wait to get my red lion and Lance with a week. 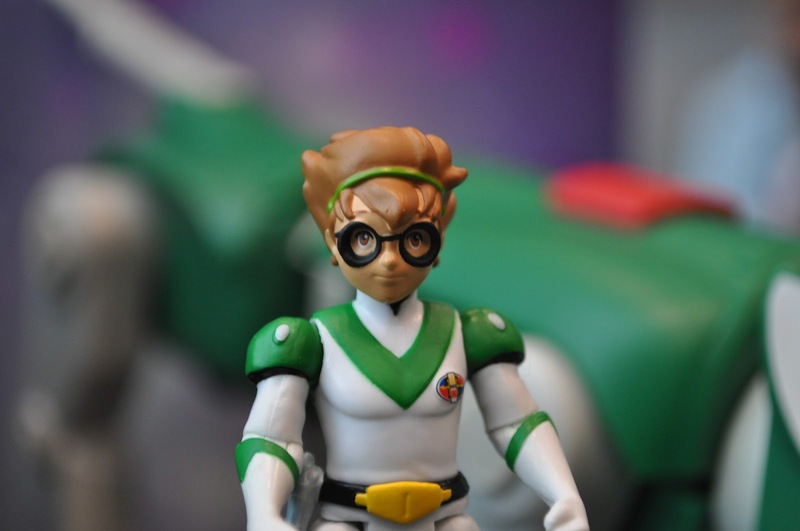 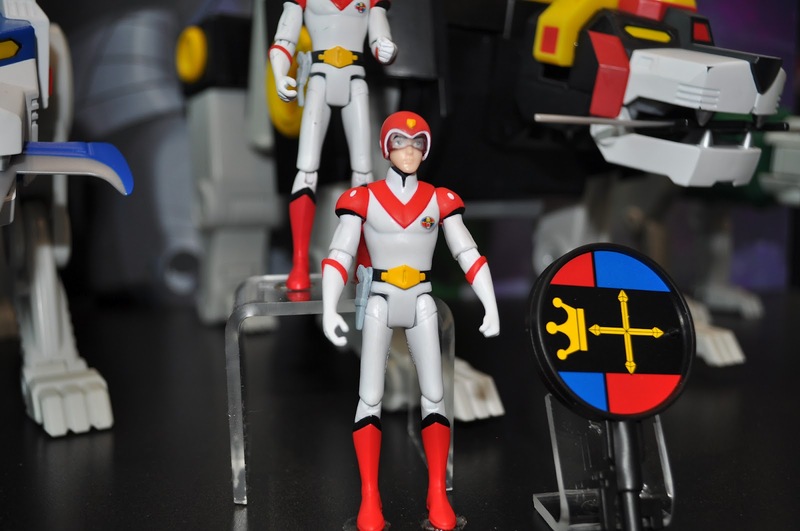 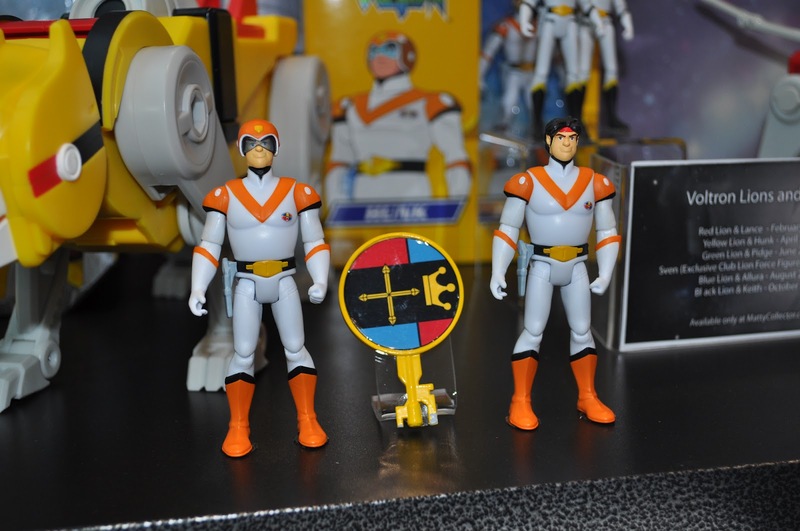 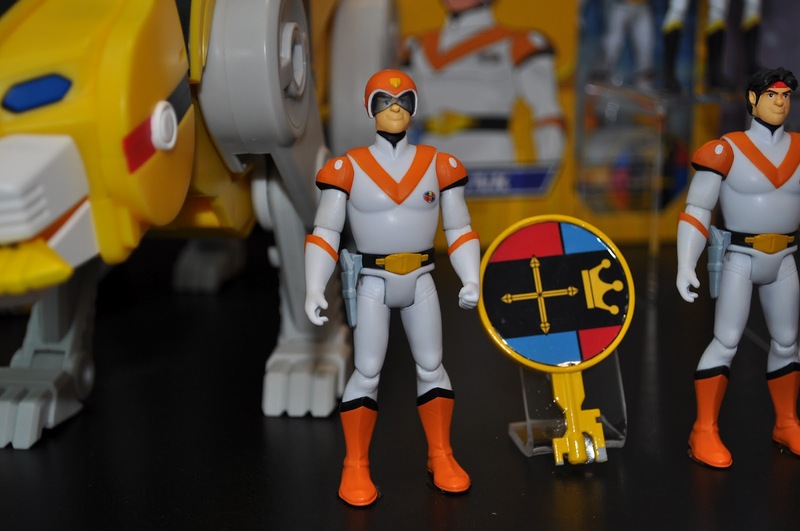 I just wondering since Mattel never released the new Voltron, do you know if Toyomi might be. 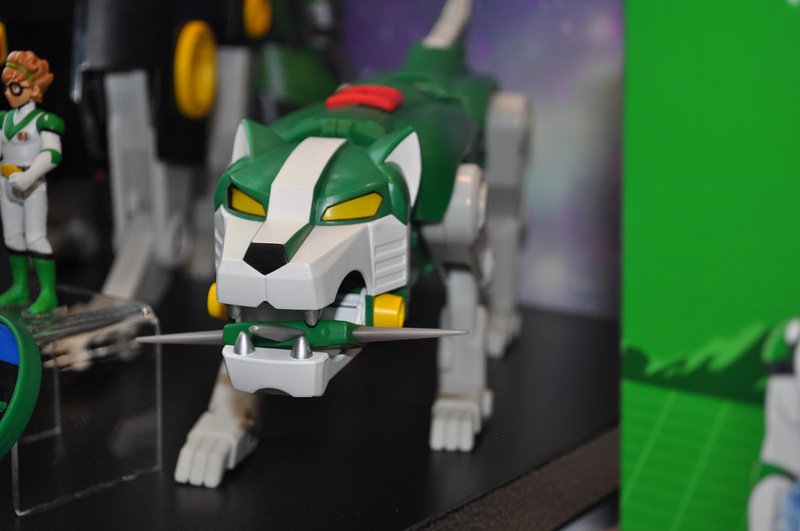 I actually forgot about the ainmates series earlier on and had just saw an 30th anniversary book at Barnes & Noble tonight. 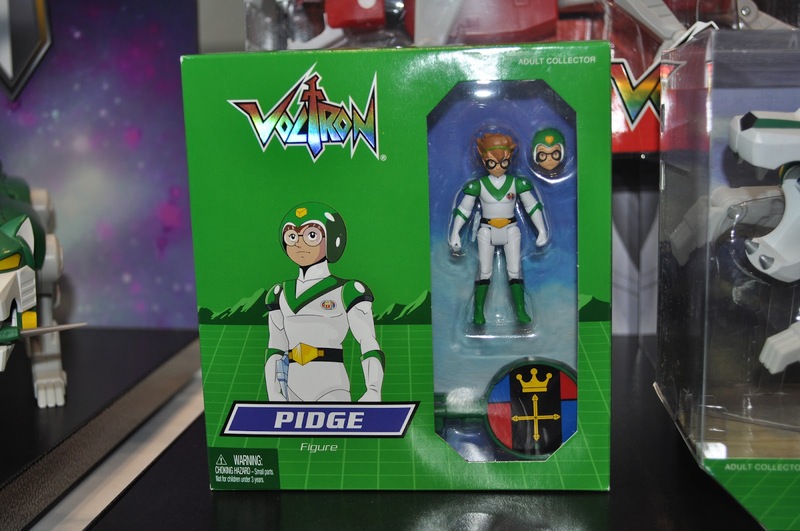 Would love to see if come true through.